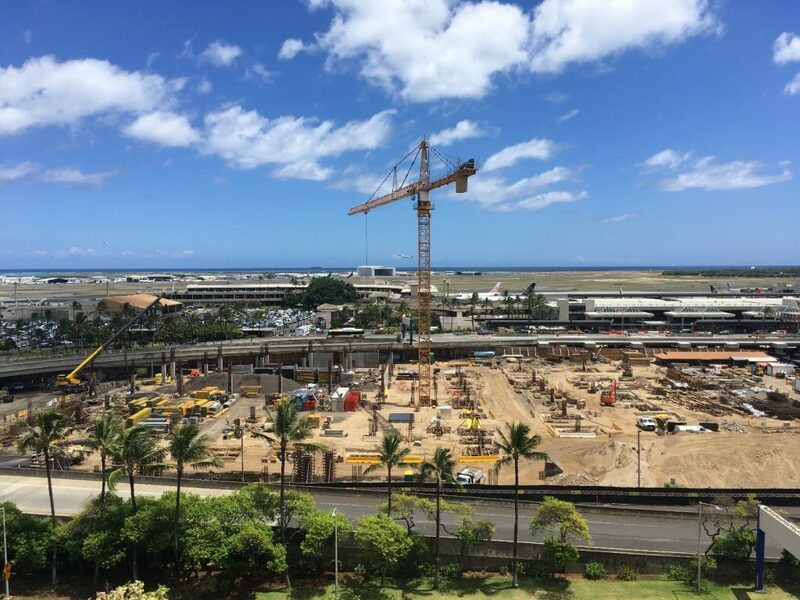 HONOLULU – The Hawaii Department of Transportation (“HDOT”) Airports Division recently received strong ratings of A+, A and A2 from Standard and Poor’s, Fitch Ratings, and Moody’s Investors Service, respectively for its Airport System Customer Facility Charge (CFC) Revenue Bonds, Series 2017A. All three rating agencies also assigned “Stable” outlooks to the CFC Revenue Bonds. 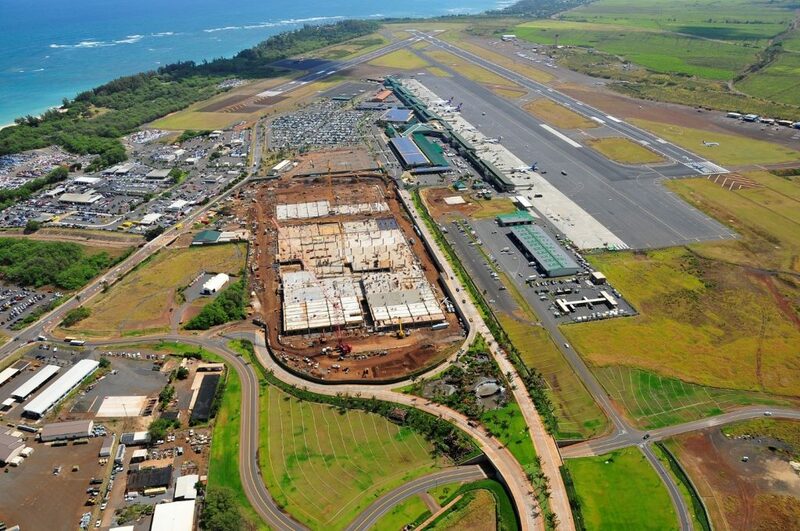 The CFC Revenue Bonds are a new credit and the proceeds will be used to finance the construction of new consolidated rental car facilities (CONRAC) at the Daniel K. Inouye International Airport (HNL) in Honolulu and Kahului Airport (OGG) on Maui. The bonds will be primarily secured by the $4.50 daily Customer Facility Charge from on-airport rental car transactions. Construction is well underway on both projects. 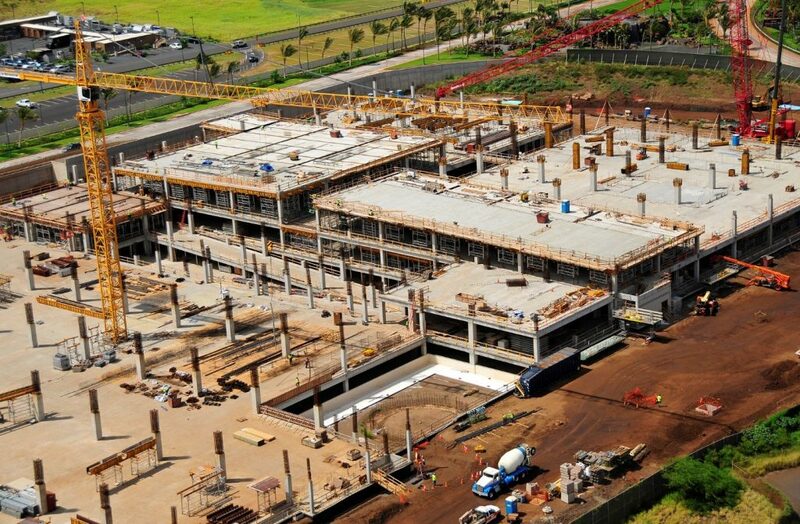 The Kahului Airport Car Rental Facility project began April 2016 and is 35 percent complete. 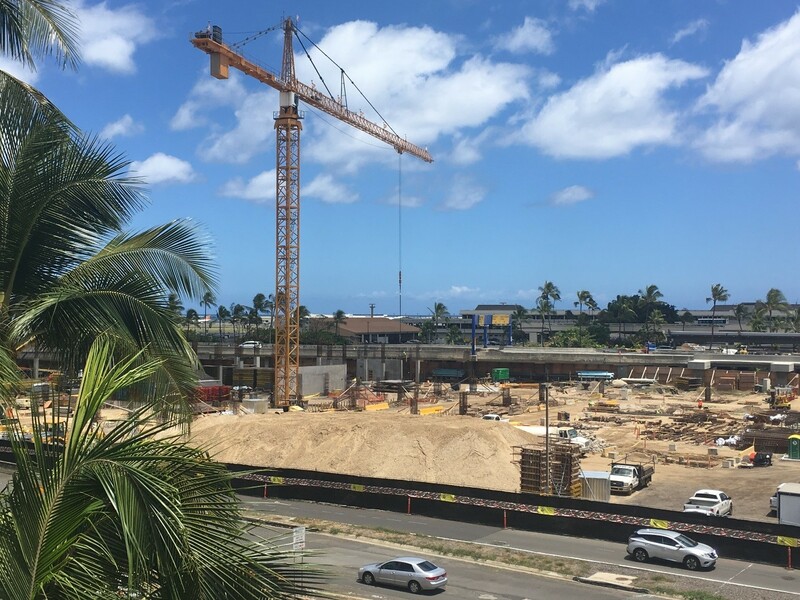 Construction on the Daniel K. Inouye International Airport Car Rental Facility project began November 2016 and is 10 percent complete. Both projects are anticipated to be finished in 2020. 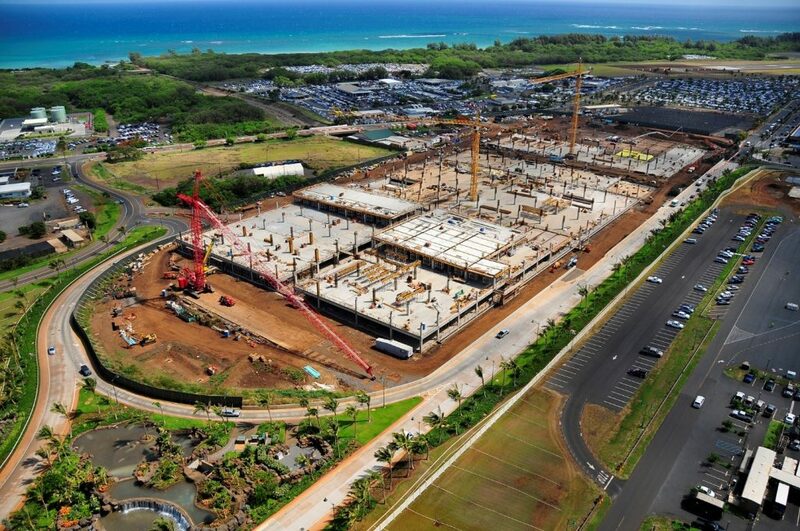 Project construction costs for OGG is $350 million and HNL is $330 million. These costs are funded by the CFC that is assessed every time a car is rented on airport property, not taxpayer money. The projects have created hundreds of onsite construction jobs. The consolidated rental car facilities will house the rental car companies in one central location on airport property to provide better service and efficiency for customers. The multi-level structures will include more than 4,400 parking stalls at each airport, a Quick-Turn-Around area with fuel and car wash facilities, ready and return rental car spaces, office space and customer service counters. 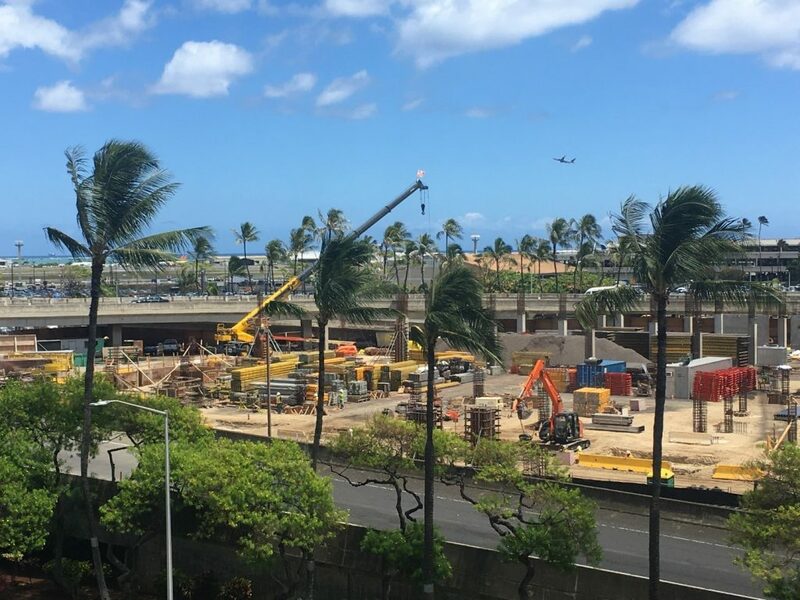 In addition, consolidated busing at HNL and the use of a tram system at OGG will reduce roadway congestion and the carbon foot print of both airports. The par amount of the bonds is expected to be $250 million and are expected to be sold on Wednesday, July 12th. Interest on the bonds is federally taxable, but will be exempt from State of Hawaii income tax. Bank of America Merrill Lynch is serving as lead manager on the transaction with J.P. Morgan and RBC Capital Markets serving as co-senior managers. Barclays Capital, Morgan Stanley and Siebert Cisneros Shank & Co., L.L.C. are serving as co-managers. 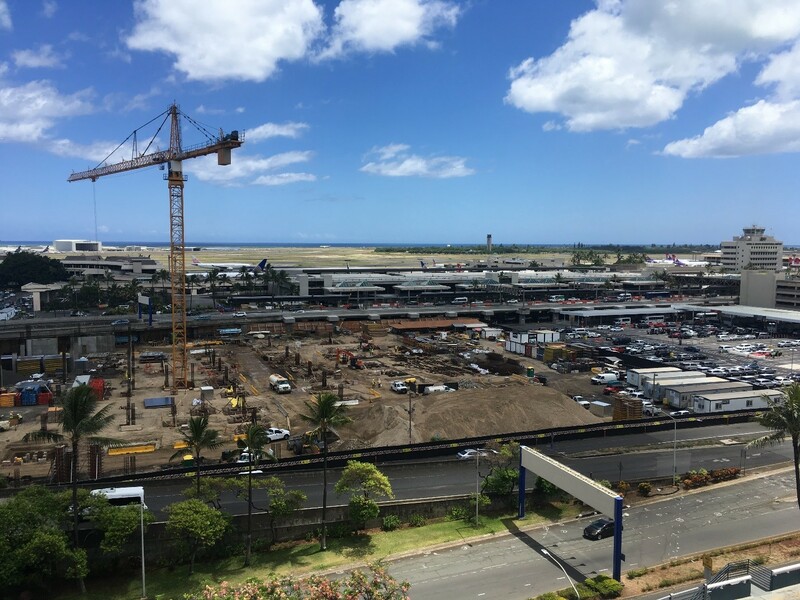 Under Governor David Ige’s leadership, the HDOT Airports and Harbors have all experienced improved ratings upgrades and outlooks. In February 2017 the S&P Global Ratings raised its long-term rating and underlying rating (SPUR) to ‘AA-‘ Stable from ‘A+’ Stable on Hawaii’s harbor system revenue bonds issued for the Harbors Division. Harbors Division bonds are currently rated A+ Positive, A2 Stable and AA- Stable by Fitch, Moody’s and S&P respectively. In 2016, the Highways Division sold $204.485 million in Highway Revenue Bonds at a very favorable rate of under 2.48 percent. Highways Division bonds are currently rated AA, Aa2 and AA+ by Fitch, Moody’s and S&P respectively. HDOT will continue to pursue operational efficiencies across all divisions to maximize investment in the State’s infrastructure, as directed by Governor Ige. 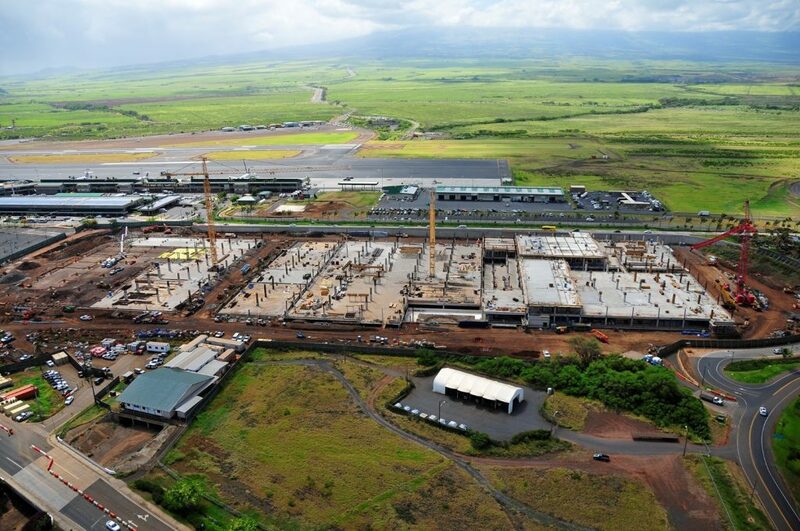 A video of the Kahului Airport Conrac construction site can be viewed at the HDOT Dropbox account by clicking here. Photos of the HNL and OGG construction sites can be used with the photo courtesy: “Hawaii Department of Transportation” or “HDOT”.